TORONTO - His next start won't be against the Blue Jays. 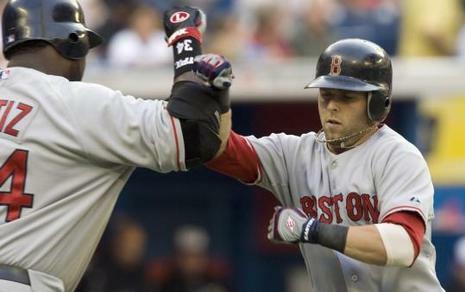 TORONTO --Dustin Pedroia and Jason Varitek hit solo home runs, Paul Byrd won for the fifth time in six starts and the Boston Red Sox beat the Toronto Blue Jays 8-4 on Friday night. Pedroia went 2-for-4 with three RBIs and has hit safely in 46 of his past 50 games. Alex Rios and Lyle Overbay hit two-run homers for the Blue Jays, who lost for the third time in their past 13 games against the Red Sox.